We are working on it. 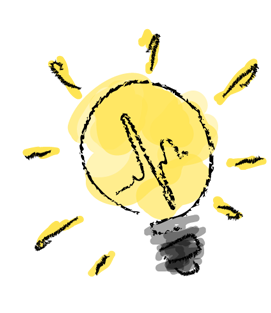 If you have comments or ideas to share, please contact us on Twitter or in our Blog! Welcome to the Dr. Scratch website, an analytical tool that evaluates your Scratch projects in a variety of computational areas. This analyzer is a helpful tool to evaluate your own projects, or those of your Scratch students. 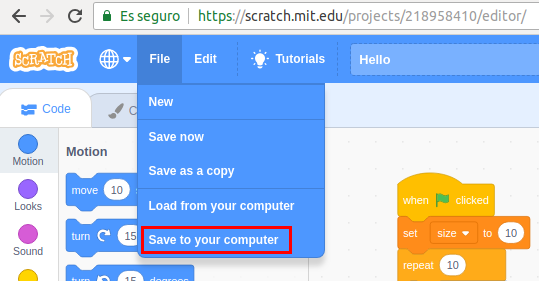 There are two options to analyze your Scratch project now! Your students can easily learn how to improve their programming skills in a fun way. We provide feedback on several aspects which are related to Computational Thinking. You can upload an sb2 file or just provide the project url, avoiding the need to previously download the project to your computer. By analyzing your projects with Dr. Scratch, you can easily check your Computational Thinking Score. It is extremely easy to use, both for begginers and expert programmers. You receive feedback to improve your coding skills. You can keep on improving your programming skills by yourself even from home. You can track your progress through charts and stats. Teachers will be able to group (and follow) their students to keep track of their progress in a fast and simple way. We are in the process of migrating our servers to the Cloud with the aim of providing a better performance. With Dr. Scratch plug-ins for Chrome and Firefox, students will analyze their project WHILE programming on the Scratch website. We'd like to take learners curiosity one step further. Do you have cool ideas to gamify our platform? The new social network funcionalities will allow users to communicate with each other to exchange ideas and challenges. Are you a Dr. Scratch user? How I can know my Scratch project's url? I want to download my project from Scratch! How I can download my Scratch project to my computer? If you are minor of 16, enter your parent's or guardian's email address and we will send them an email to confirm this account. Your responses to these questions will be kept private. We use this information to calculate the age range of people who use Dr. Scratch, and to confirm that you are the owner of the account if you contact us. Your birth month and year will not be made public. This helps the Dr. Scratch design team understand who is using Dr. Scratch, and provides information that helps us broaden participation. This information is not visible on your account, and is only used to describe overall participation.